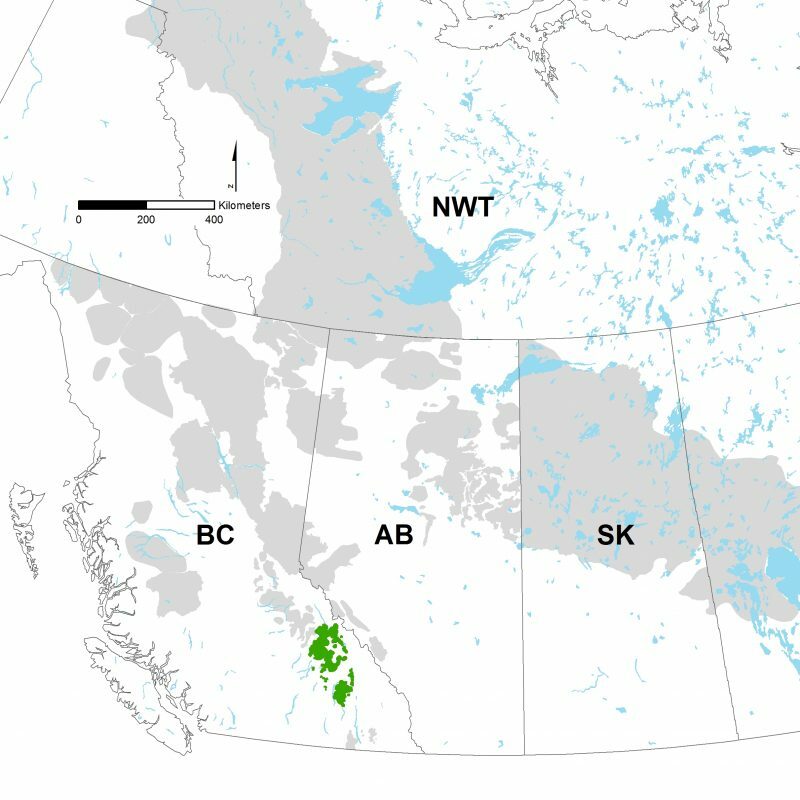 In the early 2000s, over 180,000 hectares of caribou habitat were mapped and protected from logging—exact amounts depended on the area, but are outlined in this document. Mapping forest retention areas was based largely on caribou telemetry and related products (e.g. resource selection functions). Tracking caribou in the snow also helped refine forest management and better understand caribou foraging ecology. Snowmobile closures are in effect during winter months to support woodland caribou recovery. Spatial data for mapped closures can be downloaded here. This was the most ambitious management action, and represented an active test of caribou population recovery. Beginning in 2003, moose populations were intentionally reduced by increased hunting pressure as an indirect way of reducing wolf numbers—fewer moose on the landscape means wolves have less to eat resulting in fewer wolves. Moose were reduced to a density that approximated what would have existed in the absence of forest harvesting. As a result of the moose reduction, numbers of the largest caribou subpopulation within the northern Columbia Mountains stabilized. The population growth rate improved by about 5 units (i.e. from declining by 5%/yr, to stability). Details can be found here. The Revelstoke Caribou Rearing in the Wild (RCRW) project is in a trial phase with the goal of increasing calf survival by capturing pregnant caribou and transporting them to a secure holding pen to give birth. Calves are kept penned with their mothers for one month to protect them from predators during their most vulnerable stage. Maternal penning has shown some promising results, adding six calves (an increase of 21%) to the wild population since its inception in 2014. Penning doubled calf survival compared to “wild” survival rates, but has not yet resulted in any measurable increases to the population growth rate.